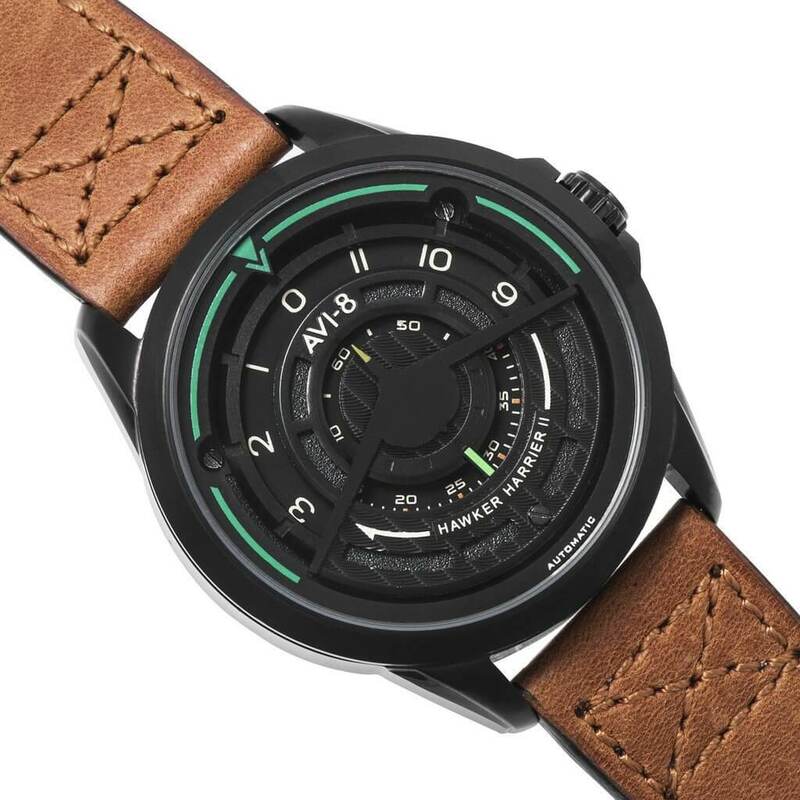 The latest released from AVI-8 is inspired by the avionic engineering of the Hawker Harrier plane and the custom built Pegasus engine from Rolls Royce. The name of this piece: AVI 4047. The watch is crafted out of Marine Grade 316 stainless steel and features sapphire lens. It fits the wrist perfectly thanks to a buffalo leather strap with two-color detailing. 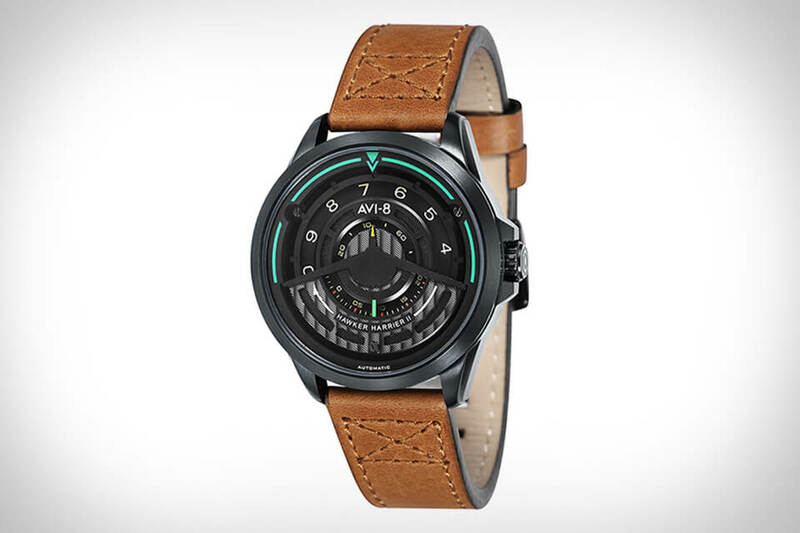 The AVI 4047 deconstructs the traditional pilot watch. A Miyota Japanese made 21 jewels self-winding movement is the soul of this watch. 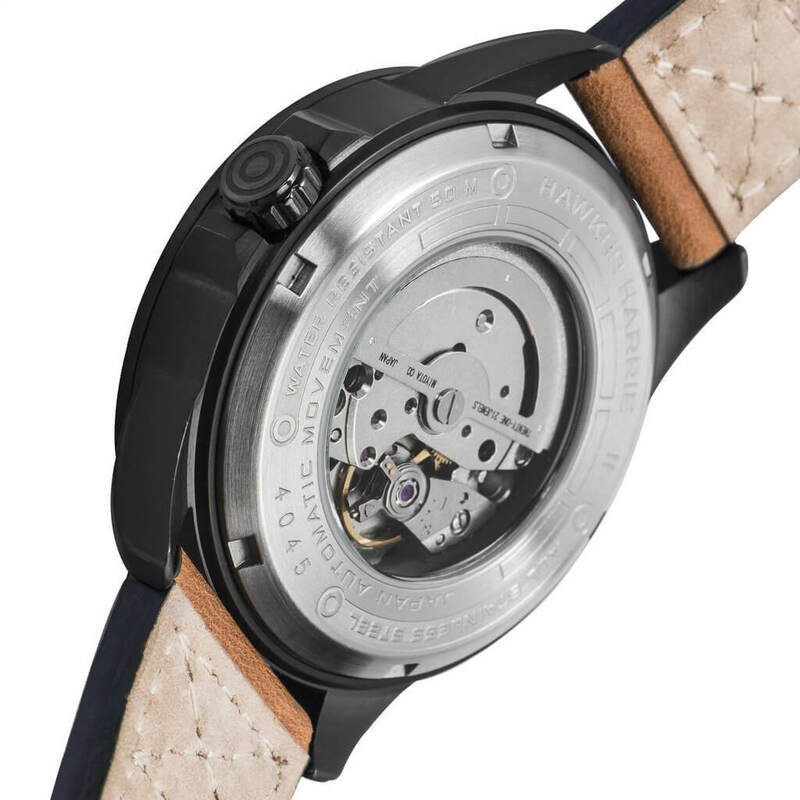 This timepiece also features a set of 3 individual discs that show the hour, minutes and hands rotate across the layered dial. The dial has three colors: Silver White, Gun and Black. Also, the solid Stainless Case features a see-through exhibition case back. You can also choose the leather band’s color from light Brown, Green, Army Green and Brown. The AVI 4047 can be found in Solid Stainless Steel and also in a plated version that features Titanium Carbide. This is a perfect gift for Valentine’s Day.